It seems as if the new Pakatan Government in Kuala Lumpur has decided to deal a fatal blow to the High Speed Rail (HSR) project between Kuala Lumpur in its announcement yesterday that the project will be scrapped in its entirety. A HSR link between Singapore and Kuala Lumpur has been in the works for a long time. Ever since the turn of the decade in 2010, both countries have been negotiating the terms of its construction and analysing the possible economic benefits it would bring. Through the intervening period, study after study has been released praising the economic upsides of the high speed rail project as it was estimated that the stimulus brought about by direct employment and tourism would far outweigh the HSR's initial construction and ongoing maintenance. Consequently, a legally binding deal was signed in 2016 that gave the go ahead for the project. In its current form, this involves a 350km rail link between the two capitals. Once completed, the link is intended to shorten the currently 4-6 hour road journey to just under 90 minutes by rail, bringing passengers directly into the city. 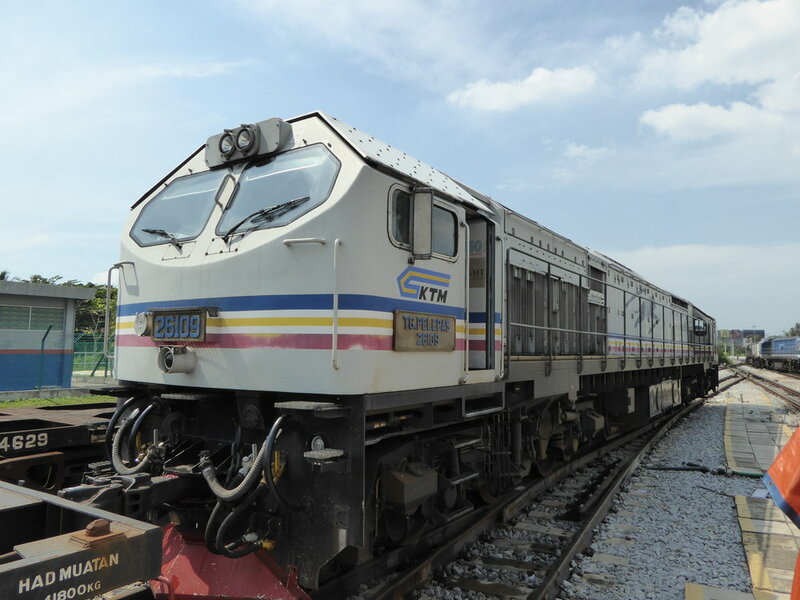 Accompanying this express service is also a domestic one that will link the Malaysian capital to various cities and towns along its Western Coast. The domestic service between KL and Johor will take 120 minutes due to the various stops that have to be made along the way, though this certainly dwarfs the amount of time taken by a bus, which would take around 4 hours. Yet, it seems as if this ambition has been repudiated. In the wake of this landmark decision, it would be good to take stock of not only the wasted opportunities of the severance but also understand why such a decision came about, and what impact this would have on both countries. Apart from ties of kinship and people to people interaction, the HSR promised to be a huge economic stimulus not only to the cities at both ends of it's service, but also to the 6 stations that will be built along the line. 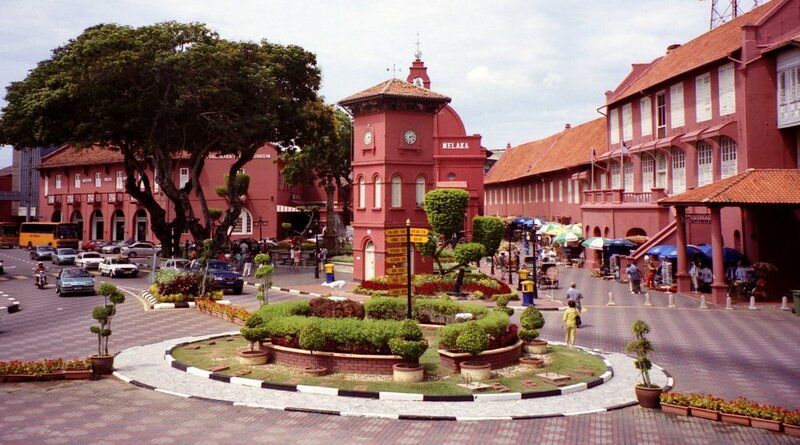 These make up many of Malaysia's larger cities — namely, Iskandar Puteri, Seremban and Malacca. Smaller towns like Batu Pahat and Muar also have their own stations. However, before we look at the strategic opportunities of the rail link, let's look at the purported negatives of the scheme. Some have charged the HSR committee as being disingenuous about the routing for the HSR as many stations along the route are (at first glance) not located near the townships they are supposed to serve. Many point to the fact that the station serving Malacca is instead located in Ayer Keroh and that Muar's station is nearer to Pagoh. Yet, these detractors fail to realise that there is a delicate tradeoff that has to be made between serving cities more efficiently along the line and a faster journey between KL and Singapore. Consequently, serving Melaka and Muar more directly (ie with stations closer to their city centres) is likely to drive up both costs and transit times, making the entire endeavour less feasible. This criticism also ignores the issue of present alternatives. The current rail network within Malaysia, the Keretapi Tanah Melayu (KTM) does not even serve Malacca nor Muar in any capacity as those stations are located an order of magnitude further than the proposed HSR alignment. For example, the Ayer Keroh station on the HSR is almost 3 times closer to downtown Malacca than the current KTM station at Batang Melaka. And that’s even before you realise that the present operation of Batang Melaka is limited. And while many also say that the location of Bandar Malaysia (the station for KL) is unfortunately not sited closer to the city — it’s already pretty close as it sits between the districts of Brickfields (literally where KL Sentral is) and Cheras. With this strategic location, travellers can transfer onto Malaysia’s ETS services to other cities north of Kuala Lumpur with reasonable ease. It is also not hard to see that slightly higher ticket prices of the HSR could be used to provide shuttle services between these 'far away' stations, and the cities they are meant to serve. Considering that the prices of coach services in Malaysia are not high, it follows that a 'last mile' transport service could be devised if it makes economic sense. People already have to find their own way into the city from JB Larkin or KL's Terminal Bersepadu Selatan anyway. Considering that the HSR is a big ticket item both in the initial construction phase and the future costs associated with maintenance, it is completely understandable that the prices charged for the services would be relatively high. The problem here is that some posit that the services would be unaffordable for many Malaysians as a roundtrip ticket may cost upwards of 400 RM, though this makes it comparable to taking a flight on a low-cost carrier (in most scenarios). That being said, however, high ticket prices are not the be all and end all. Following the pricing structure of the JB - Singapore KTM shuttle service, it's possible to charge passengers different fares based on which side of the border they start their journeys. This is especially the case when you have to factor in the differential in labour costs between Malaysia and Singapore and that Singaporeans can’t simply ‘walk over’ to Iskandar Puteri to save a quick buck. For reference, the KTM Shuttle services cost only 5 RM from the JB side, which is about 3x cheaper than the 5 SGD charged for journeys beginning in Woodlands. Consequently, it would make sense for the Malaysian government to levy extra fees on the express service between Singapore - KL (though this will still make it comparable with the cost of flying) in order to subsidise ticket prices for its own domestic service between the 7 stations. After all, Malaysia has sole jurisdiction and control over the domestic service, allowing it to amend services and prices to meet local needs. Furthermore, concerns over a possibility of low load factors on the trains is moot as Singapore - KL is the world's busiest air route. It is also likely that more people living in KL could visit Singapore whereas you wouldn't see Malaysians from KL driving and staying in Singapore (on a similar volume compared to vice versa) for long because of the Vehicle Entry Permit charges that have to be payable in order to drive into Singapore, an exorbitant S$35 a day. Regardless of whether one would take the express or domestic service, prices should become affordable for many Malaysians (though definitely not as cheap as the coach). One should realise, however, that the HSR is not intended to and will not compete with the coach as the two services are catering to completely different market segments. The proposed designs for the HSR’s train stations (which can be found here) are pretty bold to say the least. Consequently, concerns over the extravagant nature of these stations are valid especially compared to the small townships that they aim to service. That being said, these proposed designs do show how ambitious the project’s planners are and it’s clear that they aren’t shy about it. 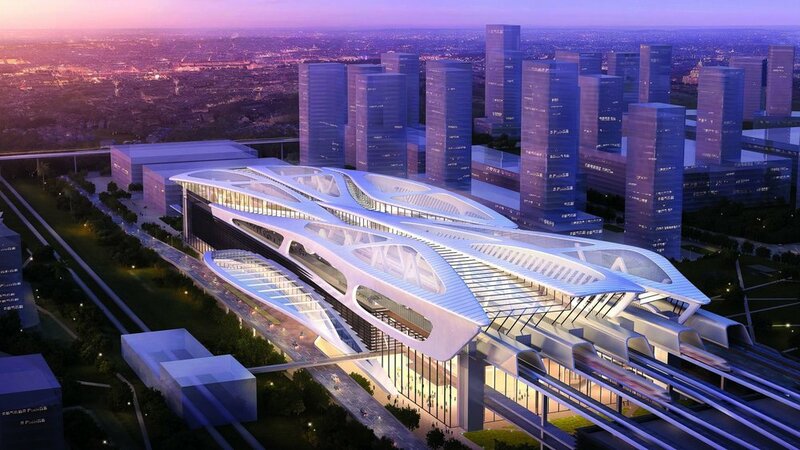 At a high cost of S$37 billion, the high speed rail is easily one of the most expensive infrastructural projects to be proposed in the history of both countries. To get a sense of scale, the HSR, with its projected cost of RM 110 billion, is roughly equivalent to the entire GDP of Malaysia’s fourth most prosperous state, Johor. Considering that Malaysia will bear the greater part of the cost for the project (95% of the rail’s trackage is in Malaysia), this is a heavy burden to shoulder. And while the concerns over Malaysia’s external debt are valid, the claim that the HSR will ‘not earn a single cent’ for Malaysia is false. Other than direct revenues from tickets going to both governments, ancillary revenue from retail concessions and the like sprouting up along (and at) the 7 designated stations will revitalise otherwise skipped townships across the country. Hence, what the government pays in the actual construction cost it will make up in higher tax revenue and abundant economic stimulus. The HSR will also likely benefit the country more as compared to its other mega project, the East Coast Rail Link. While we are supportive of the HSR (not just because it links to Singapore), the East Coast Rail Link is harder to justify since that rail project is built purely with the expectation of future potential. This is unlike the HSR where there is already proven (and overwhelming) passenger demand. Though turning a profit from the HSR will likely take a few years, the upsides are definitely there in the long term. Not only do city links like Tokyo - (Shin)Osaka, Taipei - Kaohsiung and London - Paris do much to stimulate economic development, the ASEAN narrative is even more compelling especially in the spirit of closer economic integration under the broad agreements of the ASEAN Economic Community. The costs of doing business between KL and Singapore based firms is also likely to fall considering that companies would now less likely pay for overnight hotel stays when the other city is just 90 minutes away from home. The comfort of the HSR would also undoubtedly be a hit with business travellers. Others point out that the HSR may result in a needless duplication of the country's existing KTM network. However, in addition to the points we've raised earlier about how inadequate the KTM service is for passengers, a fully electrified service (hasn't happened yet) between JB and KL would still result in a journey time of about 3 hours. Hence, while there will be an awkward middle ground between speeding up the electrification of the JB - Gemas section (it still relies on diesel trains), this KTM service is more akin to a cross-peninsular coach service than the HSR. Hence, the current KTM line alignment is ridiculously inadequate to serve any city other than KL and JB simply because its alignment dates back to the British Colonial era. Back then, trains were not primarily used to transport passengers but instead used for raw materials. It is for this reason that the KTM does not hug Malaysia’s coast which is where most of its big cities and towns are. It is also currently an unreliable mode of transport considering its intermittent frequencies and frequent breakdowns. Other regions around the world (South Korea, Japan and Europe) also have duplicate rail services where links between cities like Paris and Nice are served both by a high speed rail service and a local commuter one. The only difference between the two is that the former is more efficient and costs more, while the latter is slower, cheaper, but also connects secondary towns to larger cities. The HSR should therefore be thought of less as a primarily domestic service (though this would definitely bring much economic benefit) and more of a strategic link between two of South East Asia's major capitals. If not the HSR, what are the traveller's alternatives? Anyone who's been on a flight to KL would realise just how far away the airport is to the city. At a whopping 60km away, KLIA has to be served by its own express train in order for any semblance of a city-airport transit efficiency to be upheld. Add to this the time consuming process of arriving early at the airport, going through security, actually flying and then waiting for the plane to taxi to the gate, only to have to wait again for immigration… and you'll quickly see the point. That being said, while there might be a case to be made in saying that a flight between the two cities is faster, this is only in the most optimistic of scenarios and, as we all know, air travel can have its own bugbears. You also can’t clear Singapore immigration in Malaysia if you’re flying. We've also already pointed out that the only reason why Singapore - KL is the world’s busiest air route is because of a complete dearth of efficient alternatives to travel between the two cities. 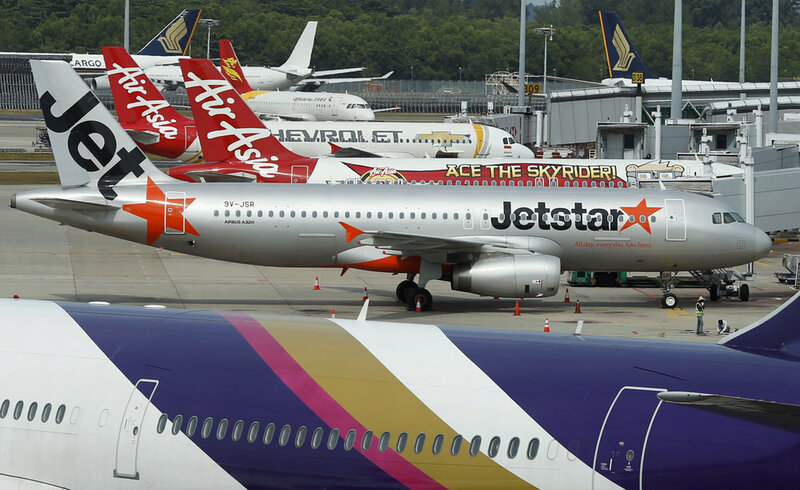 This article on Medium written by user ‘Yuka’ postulates that the volume of flights between SIN and KUL have to double every hour just to match the capacity of one train. This is (apparent to the author as well) a ridiculous proposition from both an operational and a logistical perspective. As such, the dominant means of getting between the two cities is primarily by coach services. Coach services operate between the two cities at startling frequencies and there is at least one bus operating on the hour and at every hour. However, anyone who's taken the bus to KL would know that the 6 hour jaunt is tiring to say the least. Thus, having the HSR as a more efficient means of transport would improve productivity and widen avenues of doing business in a way the buses can never hope to compete with. Therefore, the argument that Malaysia’s level of income (both at the government and individual level) is insufficient to support the HSR project is moot. While the former may hold some merit (we'll talk about this later), the latter argument is a weak one at best. For one, the HSR is not competing with the cheap ticket prices of taking a bus (about 40 SGD roundtrip) since that journey is almost 4 times as long and cannot be considered as a viable alternative. There is no doubt that the cheap prices of the coach will continue to attract passengers that would want to save money on transport costs. Therefore, the HSR cannot be considered a competitor since it is offering a wholly different product - premium travel between two cities take will only cost a fraction of the time. Conversely, we should see the HSR as competition to the airlines though flying ultimately costs much more after factoring in airport transfer costs and the like. All along the rail, projects ranging from real estate to tourism will doubtlessly spring up. This is because the HSR would, for the first time in Malayan history, give efficient access to cities like Melaka and Muar to people living across the peninsula. Not only does the HSR project result in direct employment opportunities with its construction and maintenance, the expansion of tourism in cities served by the HSR would do much to revitalise these economies. Add to this the greater ease of doing business and you have a winning formula. This is in line with Malaysia's economic transformation plans which call for the filtering and radiating of economic growth out of the Malaysian capital to its satellite cities and other towns. For Singapore, the rise of the Jurong Lake District as a sister to the city centre bodes well for the city as it continually looks to alleviating transport bottlenecks. Considering that the Port of Singapore and much of the city’s industry is all located in the West, the terminus of the HSR in the JLD is well poised to supercharge the country’s economic development. As the most energy efficient means of transport, the HSR would greatly reduce the carbon footprints of both nations especially since Malaysia and Singapore have both pledged to achieve ambitious targets in the near future. It is also projected that 19 million litres of fuel will be saved as fewer cars will now traverse the North South Highway between Singapore and Kuala Lumpur. And this encouraging number comes before the savings amounting to 55 million kilograms of CO2 emissions is taken into account. Both KLIA and Changi would also benefit from a reduced volume of planes making the short hop between the two cities. We’re all acquainted with the occasional report that a bus travelling between Singapore and KL/Melaka has crashed whilst en route (especially when it is travelling late at night). Completing the HSR thus means a reduction in exposure to relatively unsafe travel on the road considering that the HSR tracks are solely dedicated to running only these rail services between the various stations. Thus, taking the HSR would also mean less anxiety on the part of travellers especially since there is no greater risk of an accident even if one were to take the train at night. Whenever there is a holiday in Singapore or Malaysia, the perennial complaint about overcrowding at both at the Causeway and the Second Link inevitably arises. Building the HSR to alleviate congestion seems like a good option especially since it would make more sense for KL and Melaka bound travellers to take the HSR instead of having to go through the road checkpoints. Malaysia’s CIQ facilities especially at the Second Link are also woefully inadequate in managing crowds during peak seasons, and without the implementation of the HSR, these issues are only going to get worse in the future. With all the overwhelming economic reasons for why the HSR should be deemed a success, perhaps an addendum explaining why the HSR got cancelled in the end would be useful. To that, we have the turn to the personality and identity driven politics of Mahathir. While it does make sense that Mahathir is attempting to pare down Malaysia’s deficit, perhaps the answer to this conundrum does not lie with destroying an important link between two of South East Asia’s biggest cities. Mahathir is also not one to shy away from large projects as older Singaporeans would remember that he once literally built a half-bridge to Singapore despite failing to get Singapore’s agreement to construct a new Causeway. Accompanying this is Mahathir's overarching concern over the notion of ‘Malaysia selling itself out to other countries' and the accompanying imperative of ‘protecting Malay culture’. This is a bad time to play political brinksmanship. Yet, it is hard to argue with the precarious fiscal situation that Malaysia is in now. Though the recent revelation of Malaysia's RM 1 trillion debt does definitely call for a reassessment of the project, the smart thing to do now is not to scrap the plan but to postpone it. Then again, the catch-22 of this option would be that constructing the HSR in the future would cost both countries more money both in eminent domain and upfront labour costs. We're still nevertheless optimistic that an eventual high speed rail link will come to fruition in the foreseeable future. A successful partnership between Kuala Lumpur and Singapore would signal a new era of cooperation between the two countries - a landmark example of mutual understanding beyond the annual leaders summit. Add to this the strong (and positive) signal such a project would send to local businesses and foreign companies and you'll start to see how important the project is. Though the decision of scrapping the high speed rail project is already out of the bag, here's to hoping that the high speed rail project (in some way) will eventually get back on track. Love what you're reading? Follow us on Facebook to keep up with all of our articles on the world of travel.